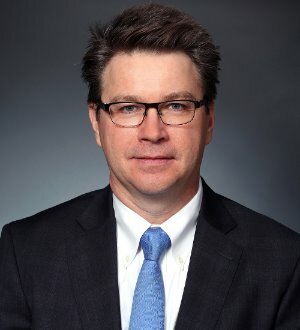 Bruce C. Doeg chairs Baker Donelson's Business Department, which consists of over 200 transactional attorneys in the Securities, Corporate, Mergers & Acquisitions, International, Real Estate, Intellectual Property and Tax Groups. Mr. Doeg concentrates his practice in the area of business law with an emphasis on technology and life sciences. He previously served as the Nashville Office Managing Shareholder and chaired both the Mergers & Acquisitions Group and the Business Technology Group for the Firm. Mr. Doeg serves as outside corporate and board counsel for companies across numerous industries, including technology, life sciences, manufacturing and journalism. His experience includes public and private capital formation, mergers and acquisitions, technology agreements, strategic alliances, corporate and commercial agreements, health care information technology, executive and employee compensation issues, corporate governance and business law advice. Mr. Doeg also has formed and represented venture and seed capital funds. Mr. Doeg started his legal career as a corporate litigator in Wilmington, Delaware. He has authored numerous articles and is a frequent speaker on business and technology law topics.